Current State Champion Brett Barndon conquered the challenging tack conditions on Saturday night to claim victory from Ant Dye and Glenn Dickinson at round 4 of the 2017/18 Club Championship at Moora Speedway. ..
12 cars made the journey to Narrogin Speedway on Saturday night for Round 3 of the 2017/18 LSA Club Championship. Last night saw the 9th running of the Wayne Armstrong Cup at Pithara Speedway which also doubled as the final round of this season's LSA Club Championship. . . Welcome to the West Australian Limited Sprintcar Association. Our club is comprised of approximately 120 members consisting of over 45 drivers with the remainder of the members being family, support crew and club associates. Welcome to the West Australian Limited Sprintcar Association. Our club is comprised of approximately 120 members consisting of over 45 drivers with the remainder of the members being family, support crew and club associates. The majority of our members reside outside the Perth metropolitan area so the club regularly races throughout Western Australia, including south down to Manjimup, north as far as Carnarvon and of course east to Kalgoorlie including Perth Motorplex, Bunbury, Geraldton, and many other country tracks. The club committee meet regularly each month to plan and co-ordinate racing events and general club business. Each year on the last Saturday of June the club holds it's Annual General Meeting which also coincides with the end of seasons Trophy Presentation and Awards evening. Our club proudly supports a strong social atmosphere with many a cold drink and a hot sausage bun being consumed after the conclusion of each race event. If you have ever considered racing sprintcars or even just have an enthusiasm for sprintcar racing and would like to be associated with the club as a member, please feel free to contact us at club@limitedsprintcars.com.au or come along to one of our racing events and have a talk to any of our friendly club members or visit or Facebook page "Limited Sprintcars". Excerpt from Limited Sprintcar Association of WA – Constitution, Rules and Specification – you may request the booklet from the LSA. Limited Sprint cars run a V8 engine and are constructed from tubular frame chassis. Within this chassis located just in front of the rear wheels is the driving position. The driver cockpit is provided with minimal instrumentation and usually only consists of an oil pressure gauge and a water temperature gauge. 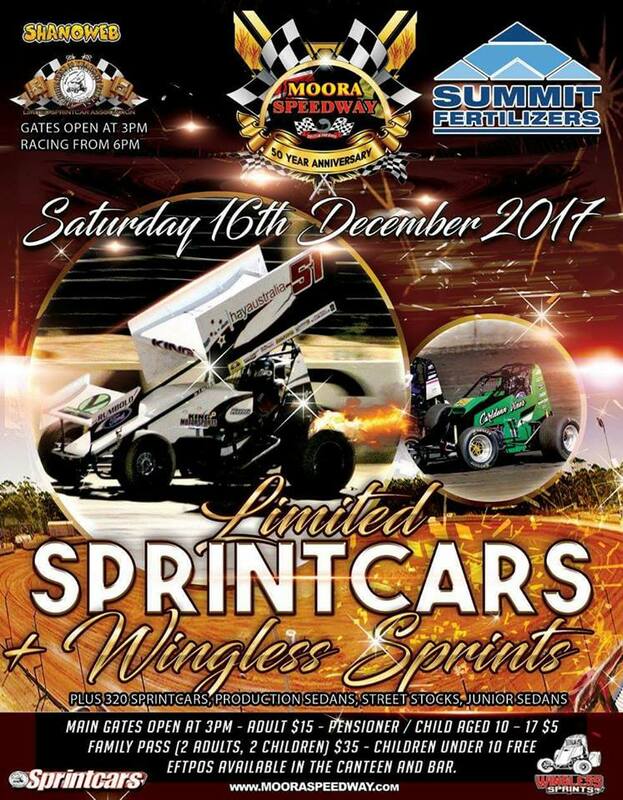 West Australian Limited Sprintcar Association.